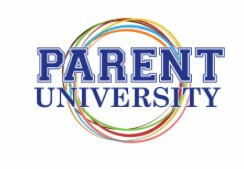 This free series is open to all parents, professionals, and community members. and acupuncture can play in managing stress in our daily lives. Award Winning Author/Educator Mariah Bruehl Discover playful ways to harness children’s curiosity and channel it into a love of learning. South Fork Bakery is dedicated to providing meaningful and supportive employment to South Fork residents with special needs. March 29: Effective Communication with Children & Teens with Shirley Ruch, Speech/Language Pathologist M.A., CCC-SLP. Parents and professionals will learn simple, yet effective communication strategies to use with children of all ages that will help them encourage cooperation, improve conversation, reduce stress, encourage independence, improve listening and teach problem solving. April 5: Parental Concerns Q & A with Carl Brandl, Mental Health Counselor & Theresa Roden, Founder of I-Tri Girls. Need answers to address the challenges facing our children in the world today. Our expert panel will facilitate a discussion about a variety of topics including: self-esteem, depression/anxiety, body image, and drug & alcohol use.